Today our world’s future seems hopeless. Many are confused about current events. 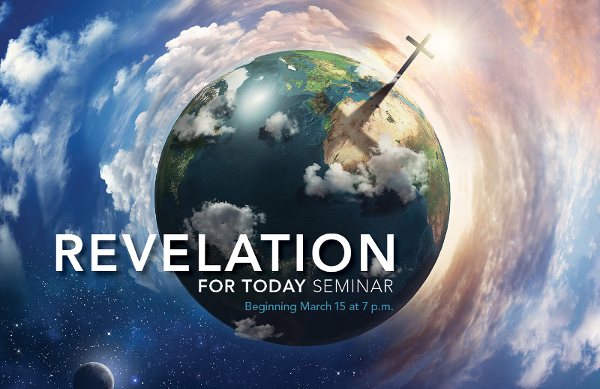 Attend the Revelation For Today Seminar and discover how prophecy can bring understanding to you! Beginning March 15 at 7 p.m.
Near the corner of Birch and O’Malley.